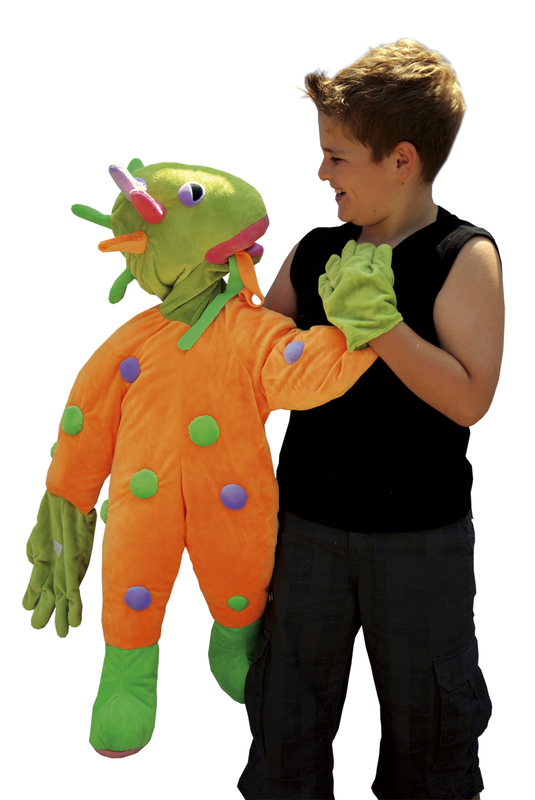 Wibo© the Wordmonster will help to improve the ‘word power in your classroom in a positive way. Together with the children you will have to take care of Wibo© allowing a friendship to develop within the classroom. Wibo© will give you the educator, the opportunity to improve the vocabulary of the children and hence empowering them. 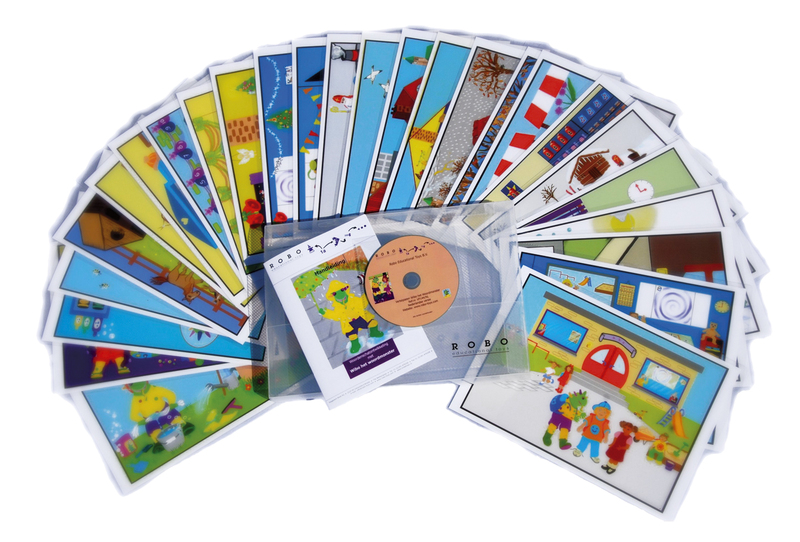 Wibo© can be used at the elementary level of education and kindergartens. The acquisition of a useful vocabulary which will have meaning. Children will be encouraged to ask for more words to stop Wibo from falling asleep. Words become more visible in the classroom. In the educational environment, in every group, in every subject, the use and understanding of words is important. Children’s vocabulary needs to be enlarged so that they are able to grasp concepts and follow lessons. With an inadequate vocabulary progress is slow and learning becomes laboured and uninteresting. ’Word power’ is a pre-requisite for successful learning. Firstly Wibo© needs to be introduced to the children. They of course introduce themselves to Wibo©. He tells them about himself and his love for words. Without words he is very sad. For Wibo©, words are fun. Words help you to communicate in speaking, reading and writing. He thrives on words therefore the children needs to provide him with new words to encourage him to stay awake. Everyone is allowed to play with and hug Wibo©. In lessons where the target is to improve the vocabulary, Wibo© has a large part to play. Words and pictures can be attached with Velcro to the Garment. On the Garment there are two surprise bags attached: these can be filled everyday with new words, pictures, a picture-book and other objects. The bags can be removed so that the children can feel or guess what is inside them. Wibo can also hang in his carry bag at the bottom of the Garment. When Wibo is venturing out and about he can be zipped off the Garment and travel together with the teacher or one of the children. He will certainly want to take a bag with him to collect all kinds of things. 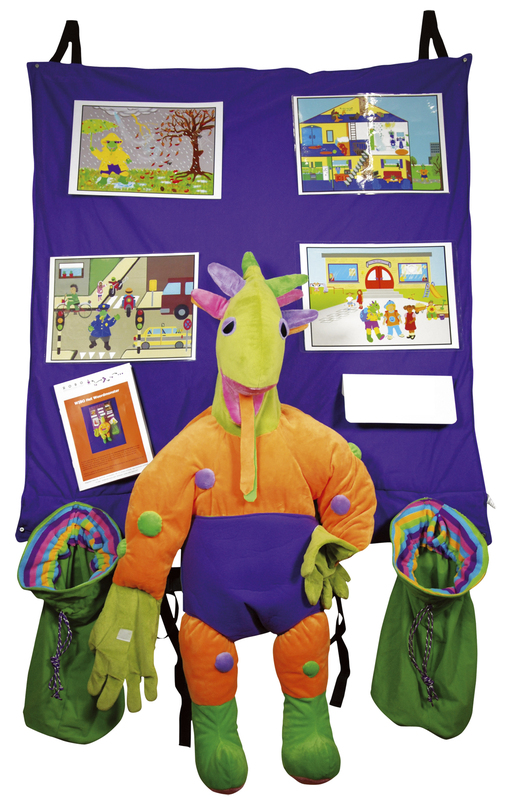 In short the Garment is an essential supplement to Wibo the Wordmonster in the classroom.